Shiny hair extensions can help you emulate celebrity wedding hairstyles. There’s much to do before your big day: dresses to buy, fittings to attend and hairstyles to plan for. With photos that will likely be prominently displayed in your home and your relatives’ homes for all to see, your wedding hairstyle should not be an afterthought, but well planned and executed! When deciding how to wear your locks, take a cue from recent celebrity weddings. These people have teams of experts and stylists advising them on the best styles. The best part is, you can emulate them without spending a ton of money. Here are a few versatile looks that truly turn heads. Unless you’ve been blessed with naturally long, thick hair, hair extensions will help you achieve these winning nuptial looks. 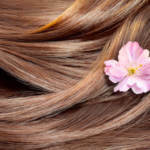 Sulfate free shampoo will ensure your hair looks great for your wedding. You know a hairstyle is a winner when it’s chosen for a long-awaited, much-celebrated royal wedding. Kate’s demi-chignon combined the best of both worlds: part updo and part long flowing tresses. Both shiny hair extensions and natural hair will set off your veil nicely if you wear one, as Kate did. For you, a non-royal, a tiara is optional but could be a nice, unexpected, sparkly way to top off your wedding look! Known for having an edgy side and gravitating toward punk style inspiration, it’s no surprise Gwen’s wedding hair-do was as unique as she is. Her wedding coif featured height toward the crown, and then was meticulously combed back for a sleek look. She topped off her hairstyle with a beautiful, elegant hair accessory that shone as bright as her platinum tresses. Who better to emulate than the beauty who finally enticed eternal bachelor George Clooney to walk down the aisle? Shiny hair extensions are a must to recreate this simple, yet stunning look. Amal wore her hair down, parted in the center, in loose waves. If you value simple, classic and elegant looks, this style is for you. It’s especially well-suited for brunettes, whose locks really pop with a high-sheen look. Hair extensions can help you create more hairstyles. Blondes look especially radiant in the tousled, wavy style Kate rocked on her special day. The long, soft waves looked ultra-feminine. Hair extensions will work especially well when recreating this look because they’ll add body and volume so your style stands up to all of the dancing you’ll be doing at the reception. Some hairstyles never go out of style and that is true of Jackie Kennedy’s iconic wedding ‘do. Jackie’s classic bouffant has been a much-emulated wedding look for decades. It’s timeless, traditional and as beautiful now as it was then. 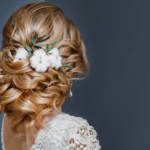 If extensions will bring your favorite wedding look to fruition, contact us at RemySoft Solutions for products like sulfate free shampoo, paddle brushes and conditioning sprays that will keep your extensions looking as beautiful as the day you get them.